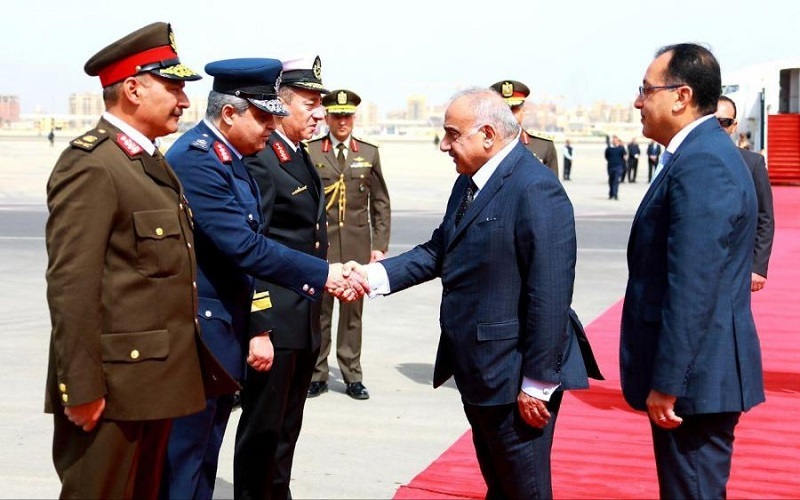 SHAFAQNA- Iraqi Prime Minister Adel Abdul-Mahdi met with Egyptian President Abdel Fattah al-Sisi during a visit to Cairo on Saturday, his first trip abroad since taking office in October. 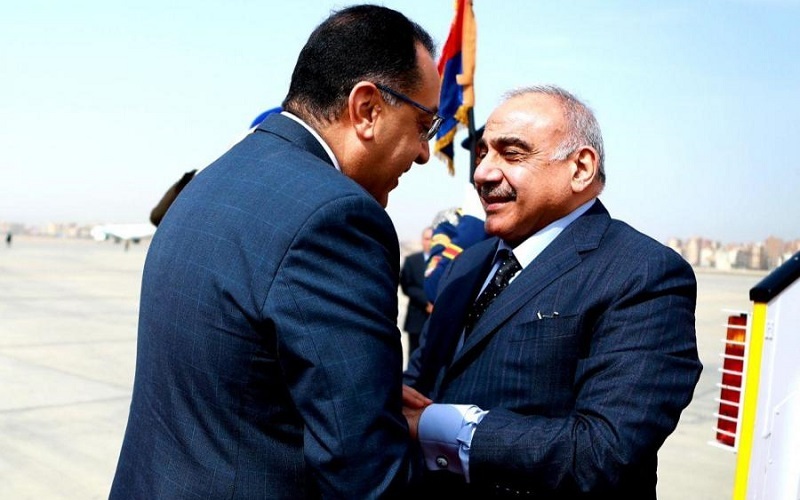 “There is a common desire between the Egyptian and Iraqi leaderships to develop relations between the two countries,” Abdul Mahdi told a news conference with Sisi after official talks between the two sides. 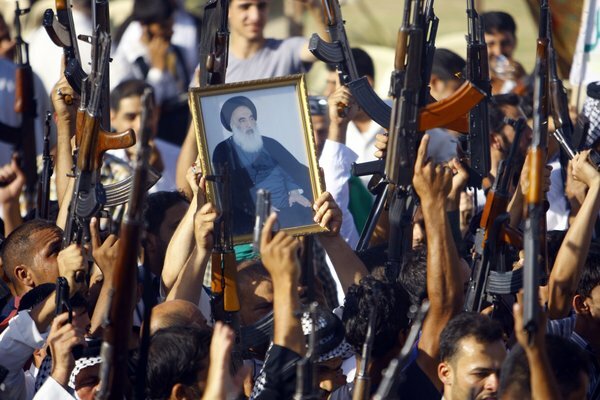 He stressed that Iraq emphasizes the friendship with all neighboring countries and Iraq today is a friend of the world. 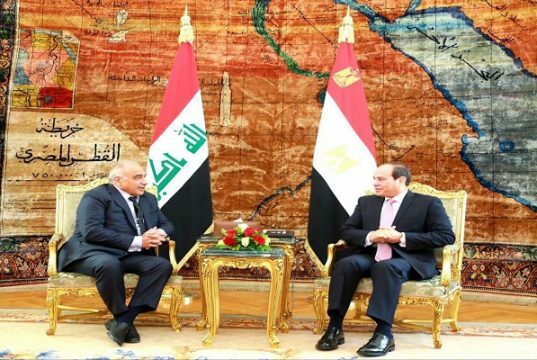 The Prime Minister said that his first visit abroad to Egypt is significant, and “we await the visit of the President Sisi to Iraq”, stressing that he came to Egypt with an extended hand, and seeks to develop trade relations for the better between the two countries. 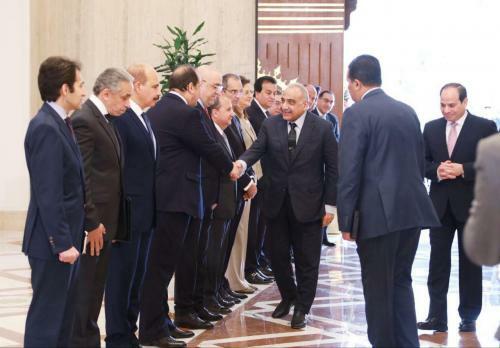 Abdul Mahdi highlighted “the importance of drying up the sources of terrorism” and said “cooperation between Egypt and Iraq will be essential for this matter,” according to an official statement, Reuters reported. 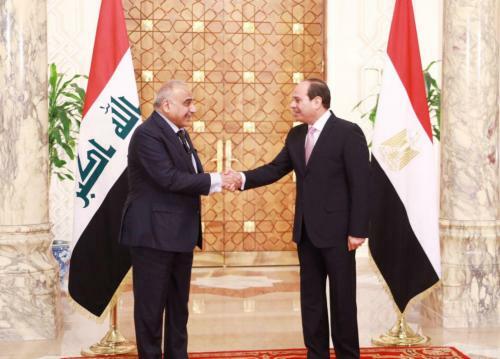 For his part, Egyptian President Abdel Fattah al-Sisi stressed Egypt’s keenness to strengthen relations with Iraq in all fields. 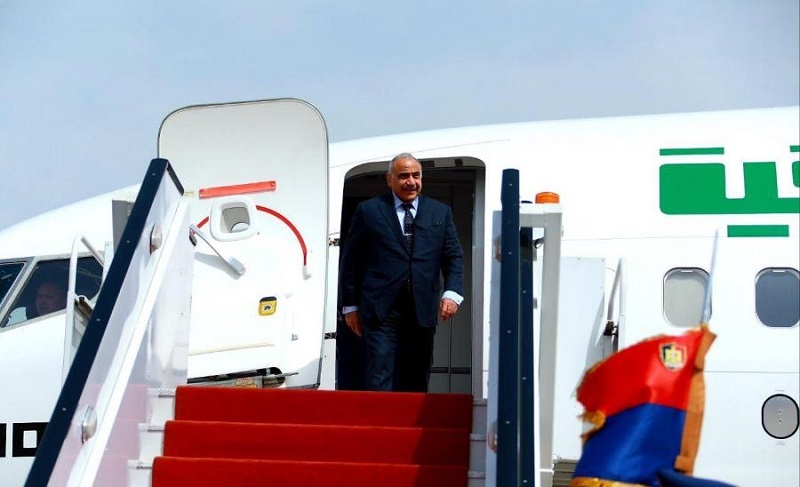 He welcomed the visit of the Prime Minister to Egypt, noting that Abdul Mahdi’s visit is very significant as his first official visit since assuming the post of prime minister in his country and reflects the strong relationship between the two countries. Al-Sisi added that Abdul-Mahdi’s visit on Thursday underscored the common desire to establish a new era of cooperation and strengthen bilateral relations to achieve the aspirations of the two peoples in prosperity and development. It is an occasion to celebrate the achievements of Iraq in security achievements and liberate its territory from terrorism. He pointed out that he touched on the political will and real resolve during the talks to complete the construction of a new Iraq that opens its arms to all its people and to strengthen relations in all fields, especially economic relations between Iraq and Egypt and Arab countries, Ina told. President Abdel Fattah El-Sisi, King Abdullah II of Jordan and Adel Abdul Mahdi, the prime minister of Iraq, held a trilateral summit at the Federal Palace in Cairo at the weekend to discuss cooperation on a number of pressing regional issues. 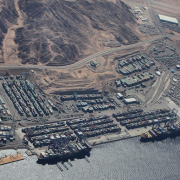 While discussing energy, industrial development and infrastructure, the three leaders issued a joint statement stressing the importance of working with the rest of the Arab world to restore stability in, and find solutions to, ongoing crises in Palestine, Syria, Libya, and Yemen, Arab News reported. 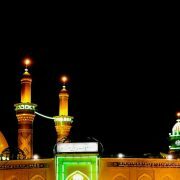 Egypt, Jordan and Iraq has called for the cessation of “Israeli violence in Jerusalem”, and cessation of “violations against the Al-Aqsa mosque”. The trio issued a motion of support for Palestine and it’s claim to al-Quds al-Sharqit as it’s capital. The statement from the three leaders also emphasized the need to fight against terrorism in all its forms, and confronting all those who provide terrorism with funds, arms, and media platforms, Big News Network reported. 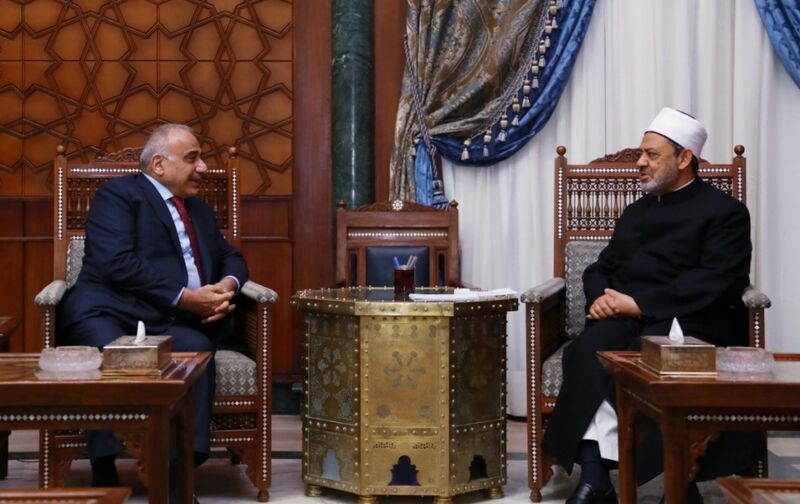 Prime Minister Adil Abd Al-Mahdi met with Sheikh Ahmed Al-Tayeb, Sheikh of Al-Azhar Mosque. 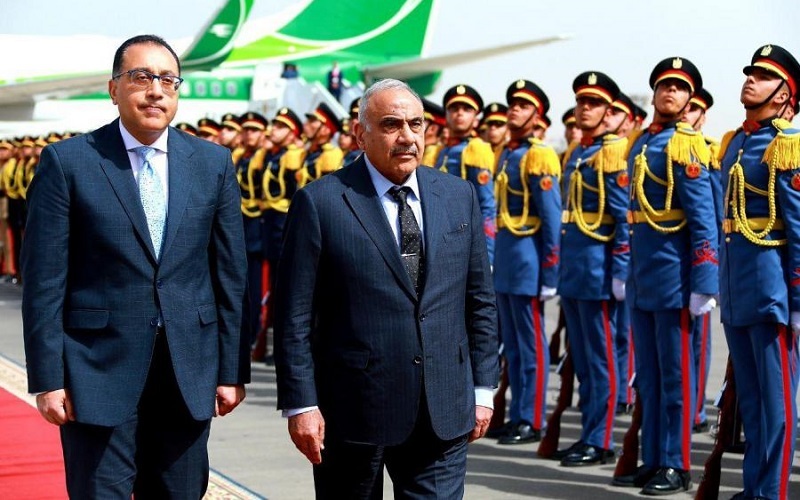 Prime Minister Adil Abd Al-Mahdi said that Iraqi is marching in the right path despite the difficulties facing it; defeating Daesh terrorist’s gangs by its People unity while the marjieia’s (religious reference) had a great role in national unity and the preservation of civil peace. 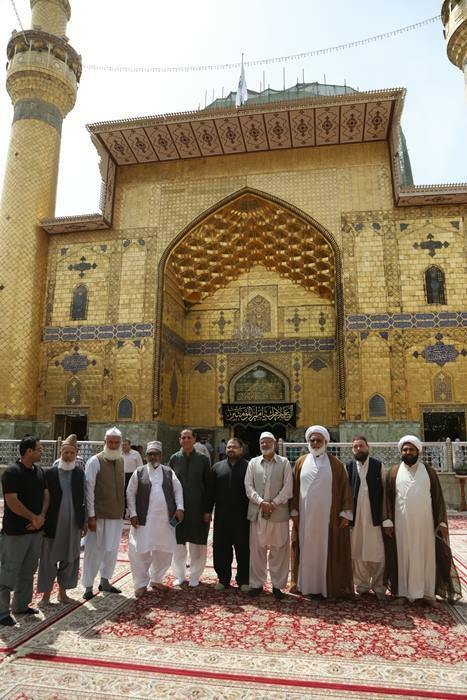 He underscored that the Iraqi government is working to strengthen unity among the Iraqi people to establish relations with all Arab countries, neighboring countries and fight poverty, combating illiteracy, underdevelopment to achieving economic advancement and reconstruction, which Iraqis looking for. 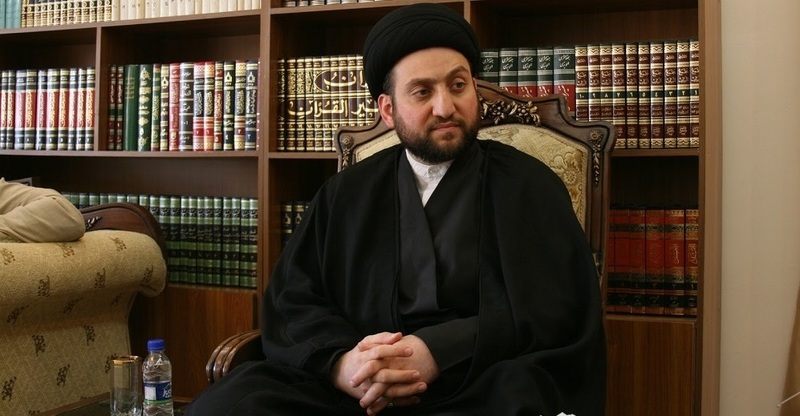 Sheikh Ahmad Al-Tayeb expressed his desire to visit Iraq, the holy city of Najaf and he is pleased with the development witnessed by Iraq, the unity of its people and its victory over terrorism, stressing that strong ties recall the unification of our countries, peoples, overcome all differences and make progress for the benefit of Muslim peoples and the whole humanity.